Coming soon to Shadyside... Our new RE/MAX Select Realty office. On October 18th we will be throwing open the doors to our city office, which will also be where I will be hanging my hat from now on. I am not sure if I am more excited about having a convenient location for city buyers, or the fact that there is a Crazy Mocha next door. Our new space is located at 5842 Ellsworth Avenue. Our owners have worked hard to make this the best looking real estate office you have ever seen. Feel free to stop by when you are in the neighborhood. 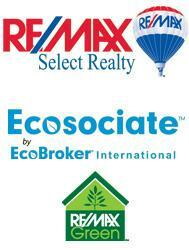 The new office is just one of the many reasons that RE/MAX Select Realty is having a fabulous year. Our agents are outselling the competition with 4x the sales of their average agent and company volume is double over last year. As icing on the cake, we were named one of the top places to work in Pittsburgh. I want to thank all my clients and friends for their support and I hope you think of me if it is time to buy or sell in Pittsburgh. Have a lovely fall!